Need a smart device to monitor your home and notify you of important home info? 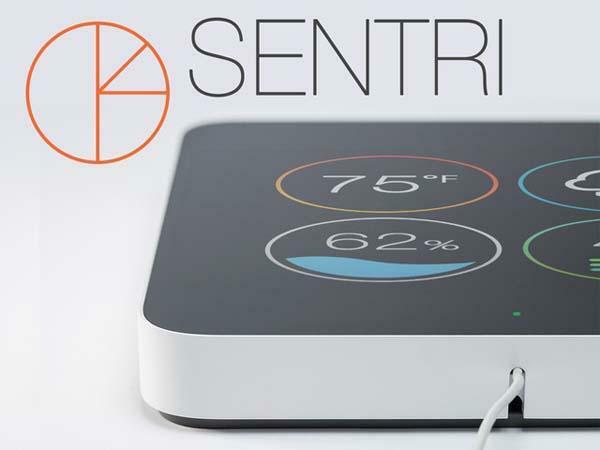 Take a look at Sentri, the smart home security system may be a nice solution. The Sentri is a versatile smart home security system designed to offer you a simple and all-around way to monitor your home. As shown in the images, the smart security device sports a minimalistic and elegant design, using its integrated kickstand or mount system, you can easily deploy the home security device on the wall or your table. 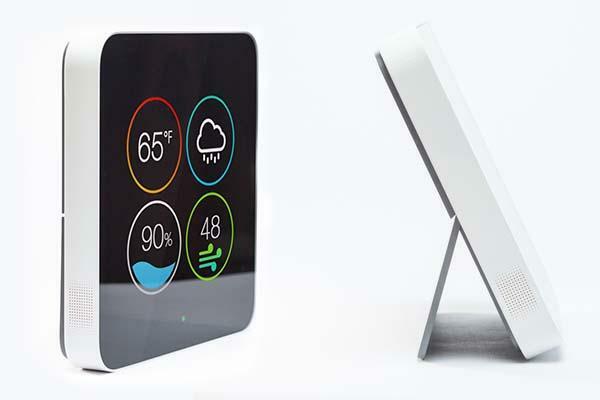 Moreover, the smart device features multiple built-in sensors, including thermometer, air quality sensor, light sensor, humidity sensor, accelerometer and motion speaker in order to fully monitor your home, and its WiFi connectivity allows the smart device to communicate with your smartphone. When you receive an alert from the smart device, you can check in on your home using its HD camera with night vision capability via your smartphone, and you can remotely control your other smart devices that are connecting with Sentri. Apart from that, its screen display customizable clockface and backgrounds that can be synced with programmable inputs such as sunrise/ sunset, weather or cityscape. The team of Sentri is raising fund via Kickstarter. Pledging $199 will let you own the smart home security device. If you’re interested, jump to Kickstarter official site for detailed description or take a look at following demo video first.